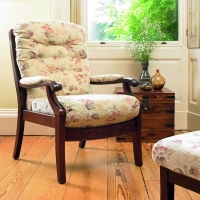 These wooden settees have design features which can help a person to stand, such as a firm seat. 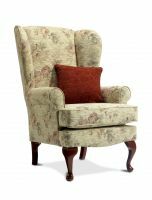 Included in this section are settees with a floor to seat base height of 46cm and above. 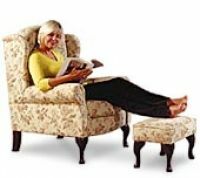 This height would be suitable for most people but people with shorter leg length may find these settees too high. 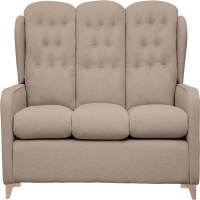 These sofas may have straight or splayed legs. 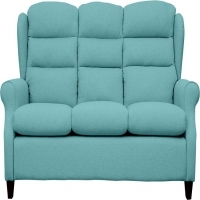 In addition if you are petite or tall you may find there are settees available that are proportionate to your dimensions which can either be purchased off the shelf or customised to your measurements. 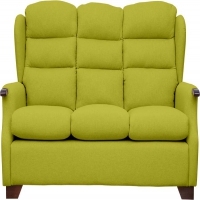 It's worth trying out a settee before purchase, to ensure the dimensions fit your body shape. 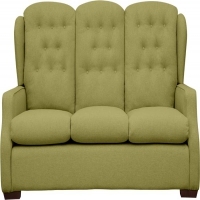 For example if the settee is too deep this may make it harder to get in and out of. 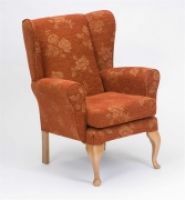 Read our advice on essential measurements to consider when purchasing a new chair. 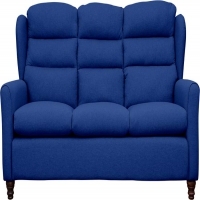 Equipment Demonstration Centres in the UK may have a range of settees available to try. 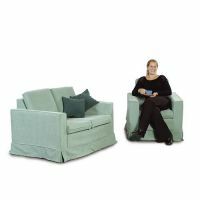 When considering a chair an individual assessment with an Occupational therapist or by a Physiotherapist may be important especially if you are also struggling with other aspects of your daily life. 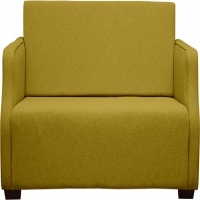 Your safety is important and there may be individual and environmental factors which determine which chair best suits your needs in the short and longer term. 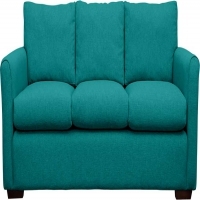 For example, some chair raisers will not fit certain sofas particularly if they are large, and some individuals, such as those who have just had a hip replacement, require a seat to be a minimum height. The information on this site is not a substitute for individual assessment. 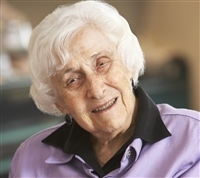 You may be eligible for an assessment and equipment from your local authority. If you are eligible the equipment will be provided on a long-term loan basis. Alternatively, you may be eligible for a direct payment from your local authority to purchase something suitable. View more information on equipment provision via your local authority and the direct payments scheme.